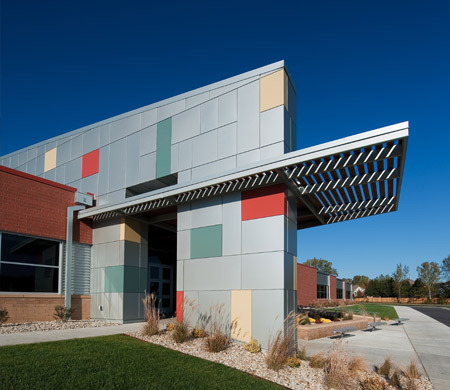 HTK Architects, in association with another local Architect, developed a new prototype elementary school design for the District to use for the next several years. 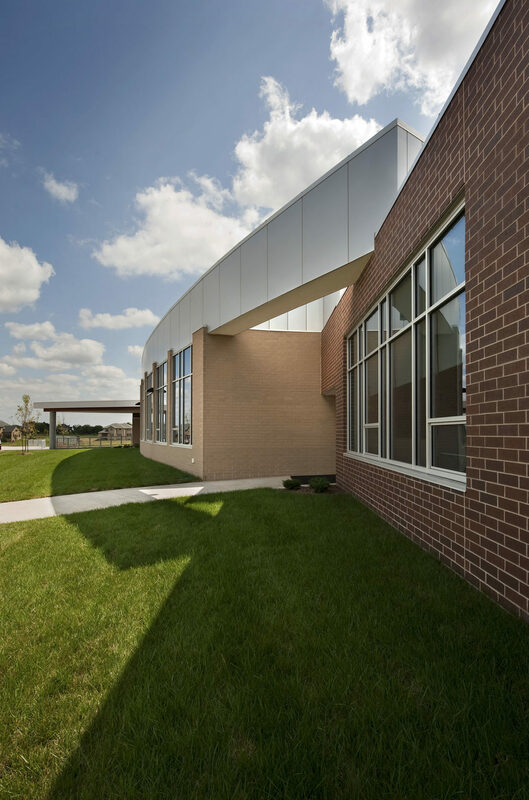 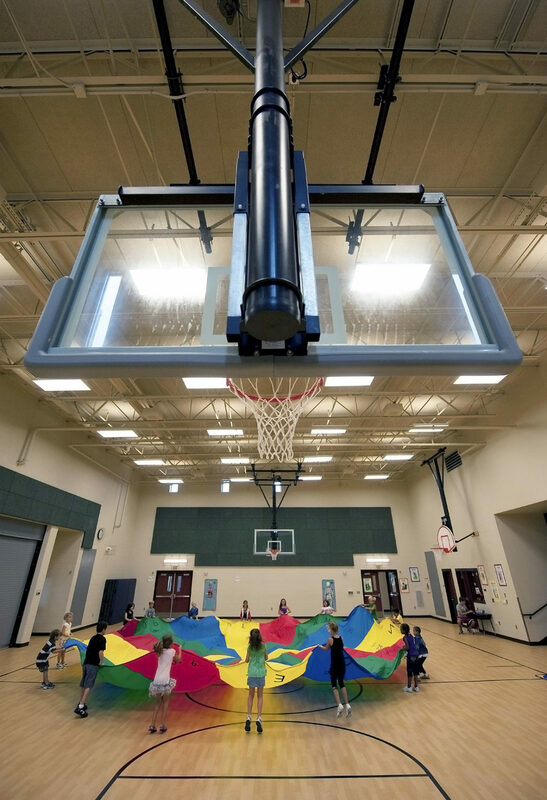 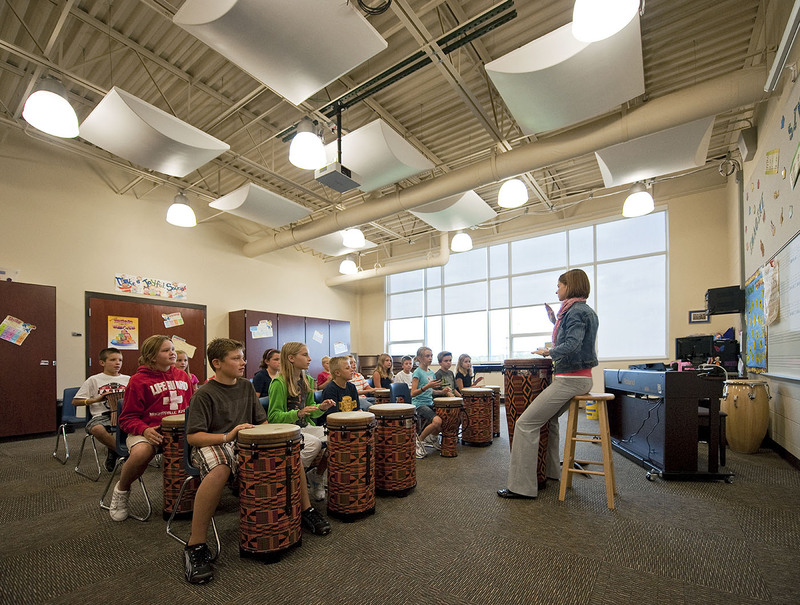 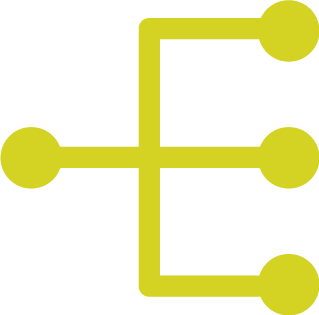 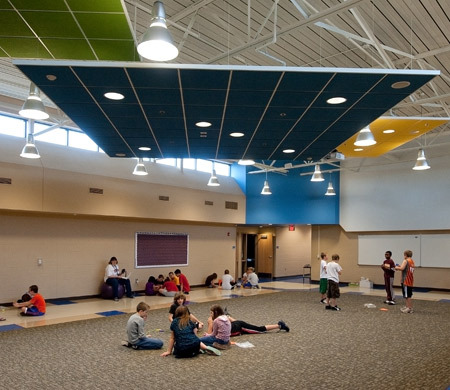 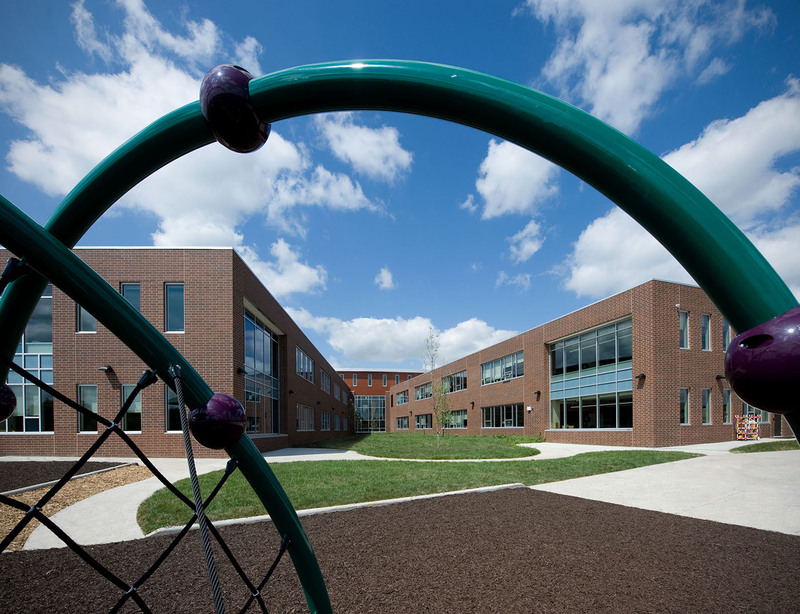 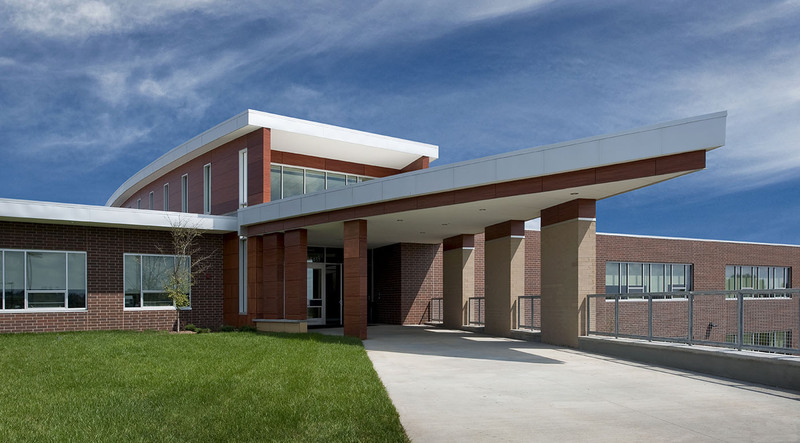 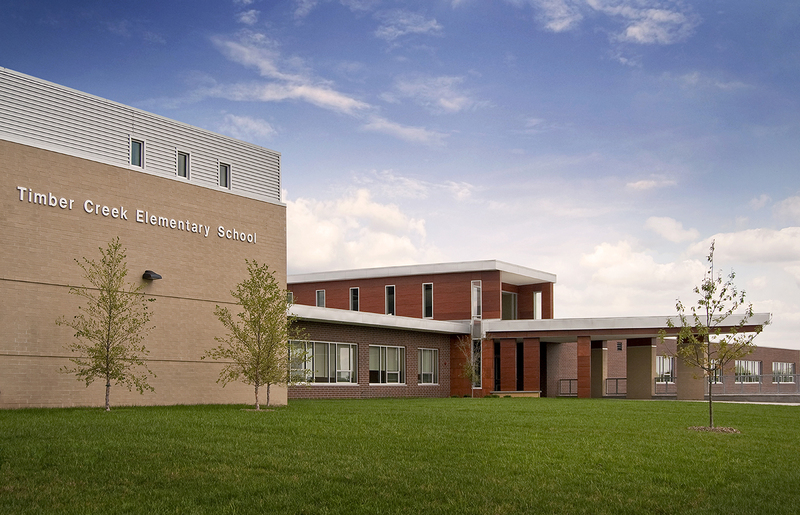 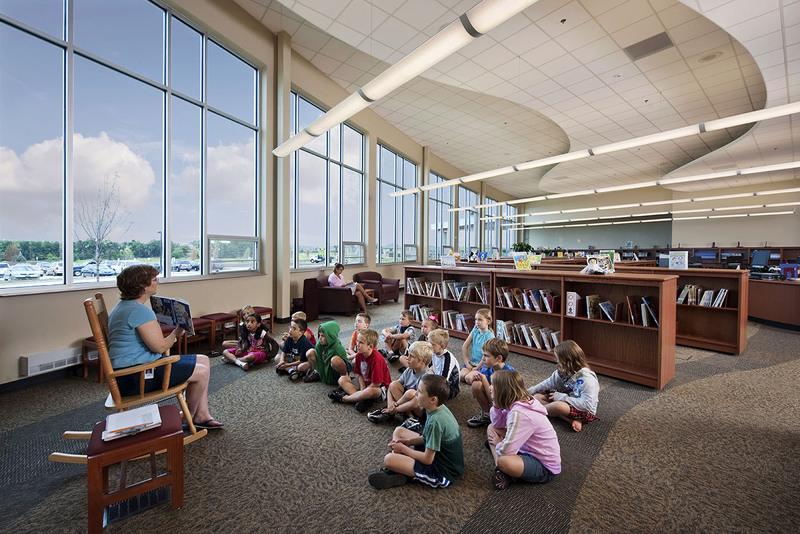 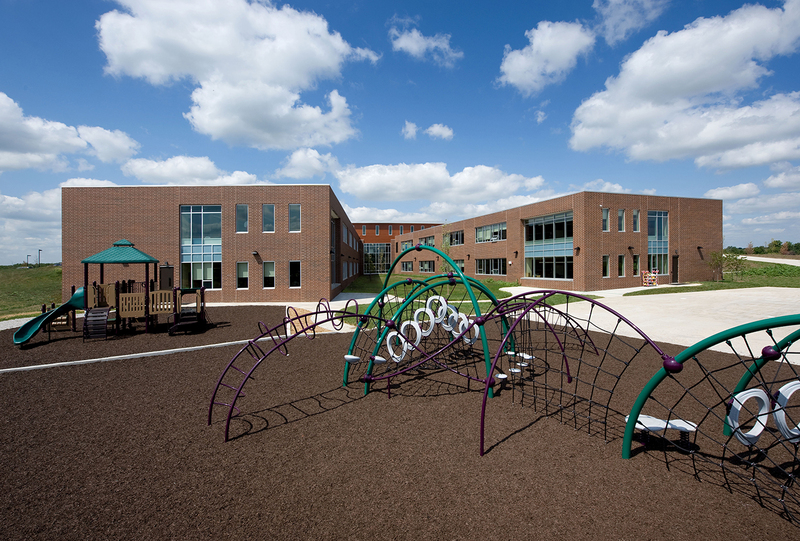 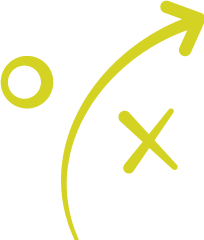 In particular, the goals of the Blue Valley School District for the new prototype elementary school included facilitating learning through collaborative and varied learning environments. 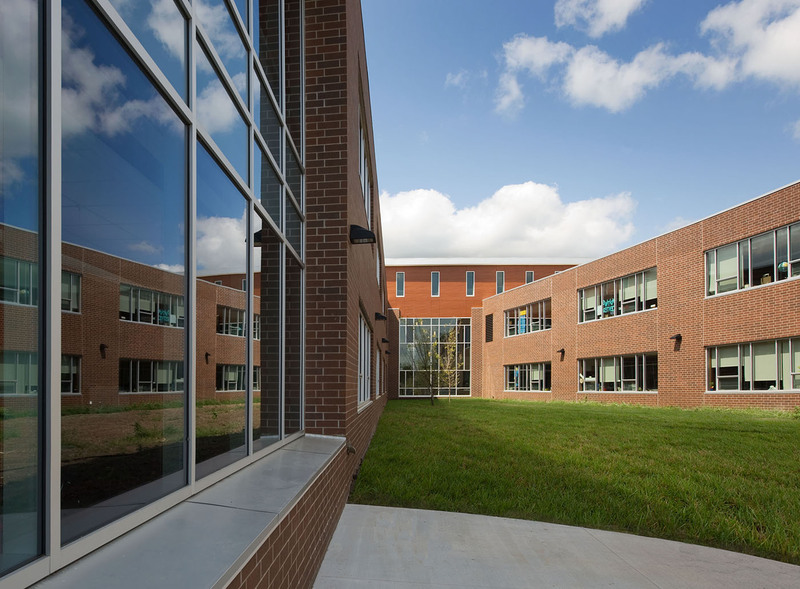 The District also wanted to embrace sustainability with improved building orientation and enhanced day lighting. 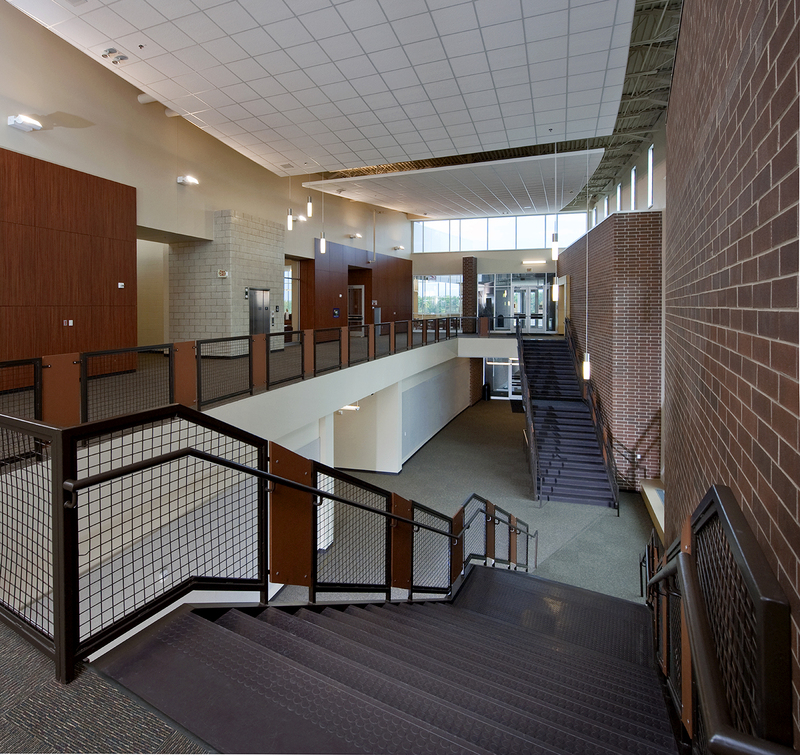 Lastly, they wanted to improve building security and access. 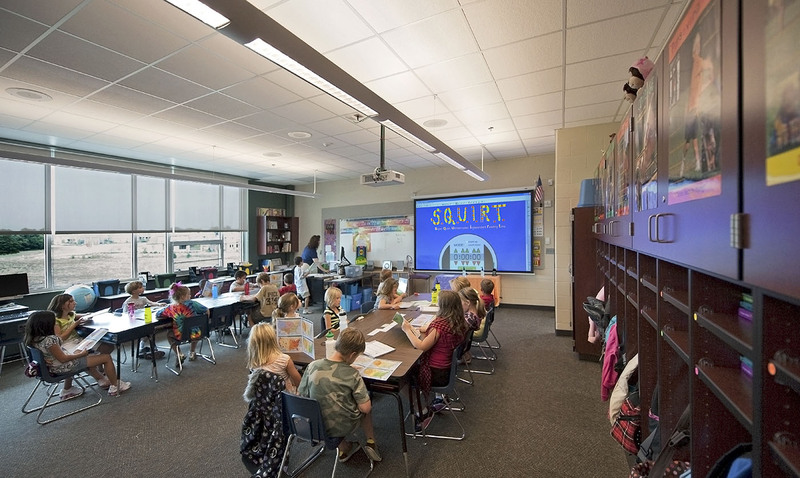 The K-5 Timber Creek Elementary School provides 32 classrooms in four “pods” with a flexible collaboration area incorporated into each “pod”. 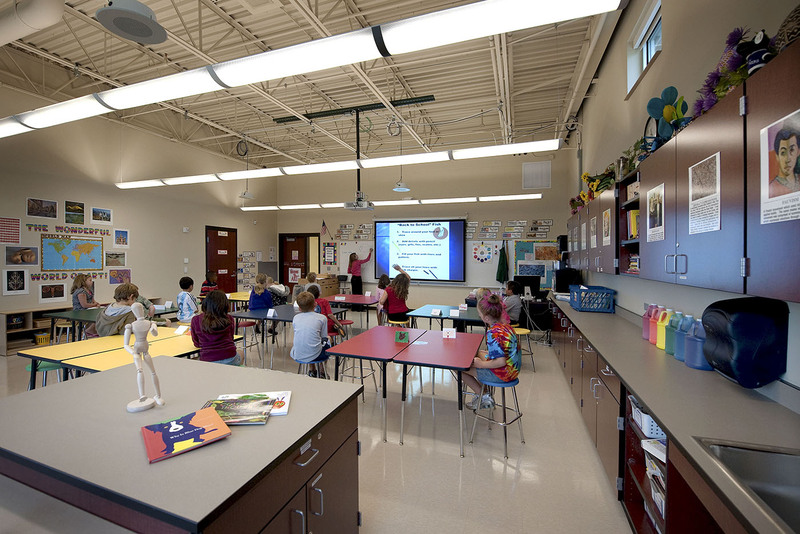 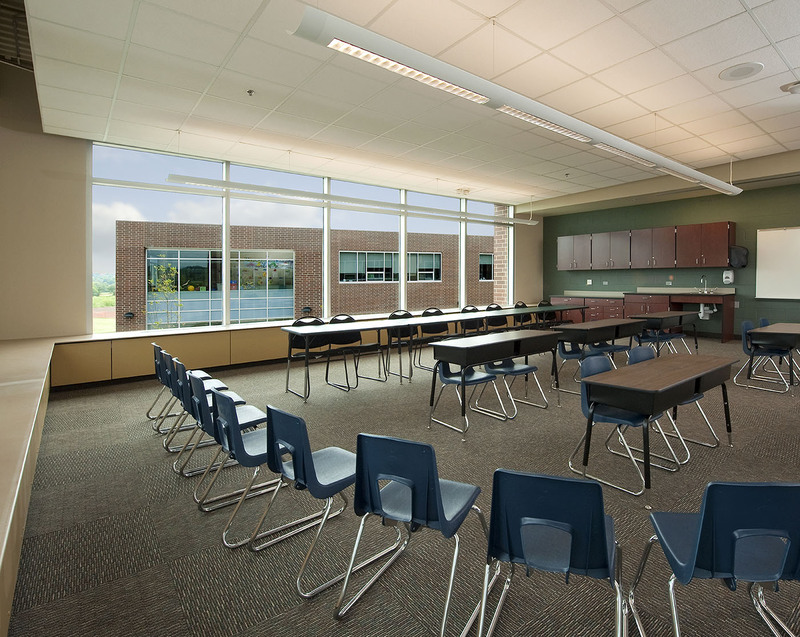 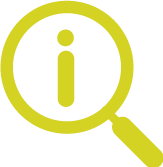 Articulated demising walls between classrooms constructed of demountable partitions promote flexibility and allow teachers to create specialized learning niches within each classroom. 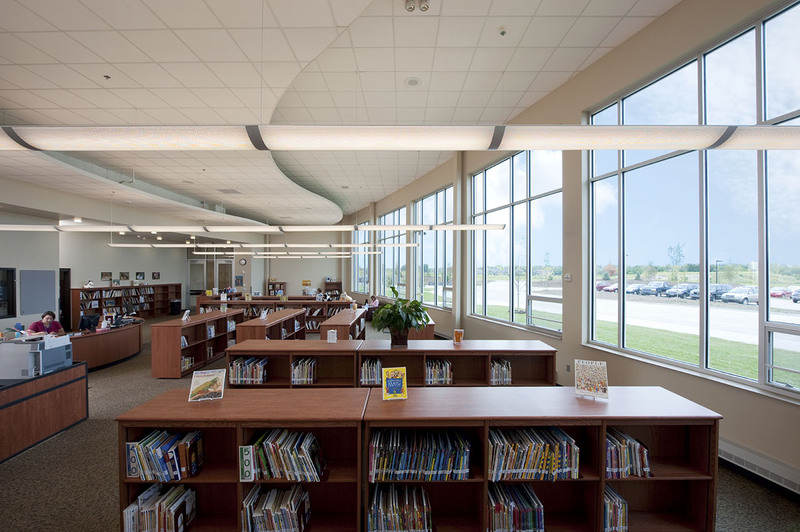 Strategic placement of large glass panels provides the desired openness and transparency. 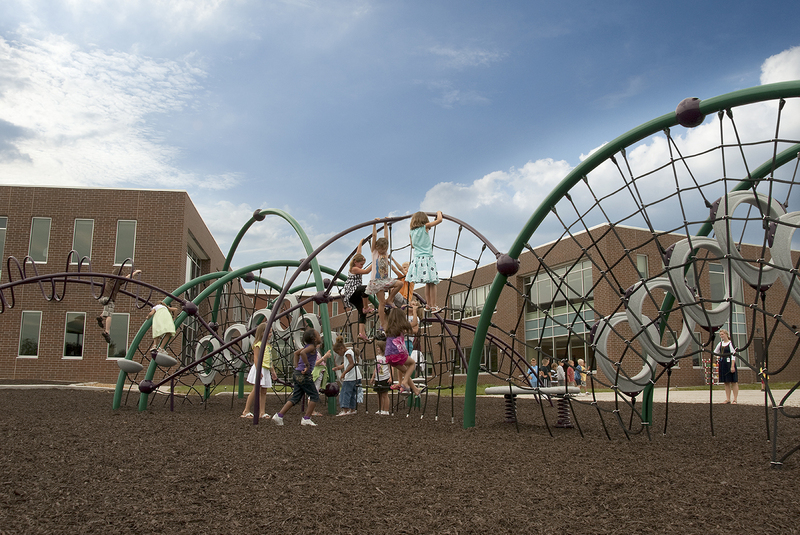 Security is also improved with the zoning of educational activities. 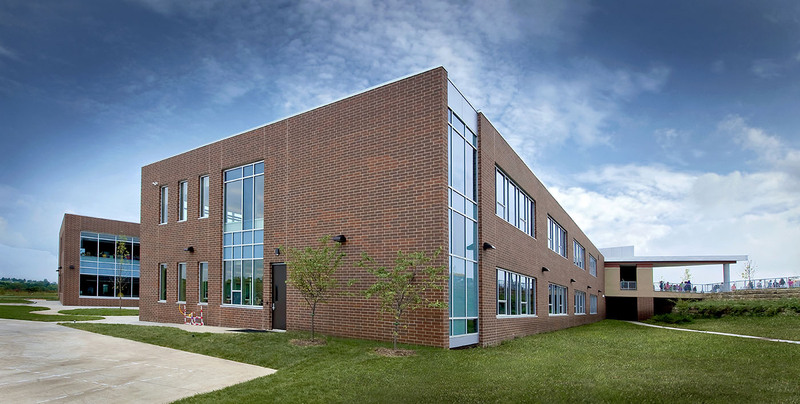 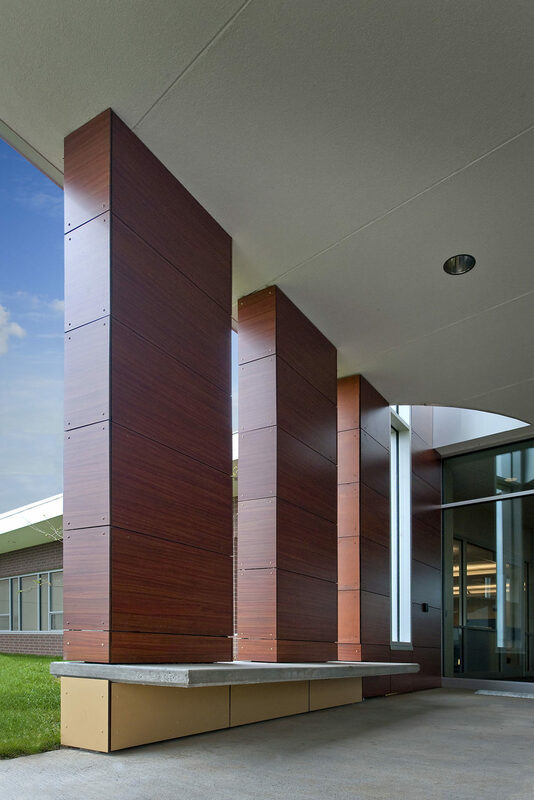 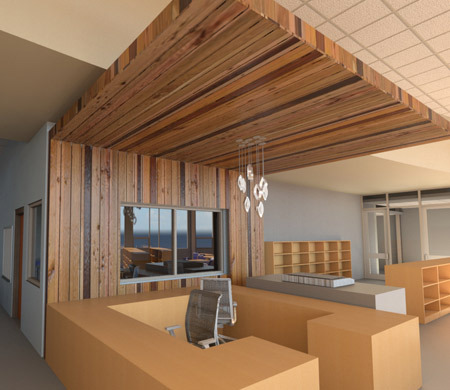 Sustainable features integrated into the building design include direct/indirect pendant lighting with occupancy sensors and daylight harvesting, low-velocity displacement HVAC, operable windows, concrete paving, and recycled content in building materials. 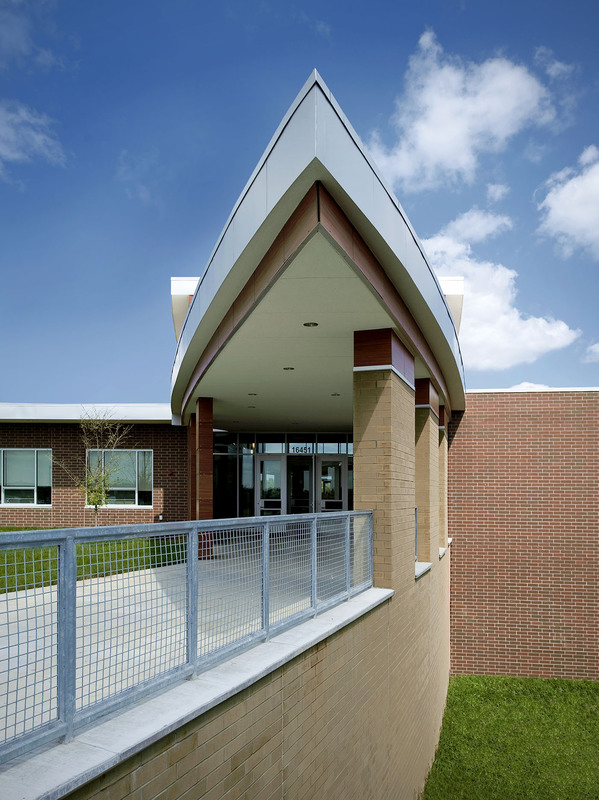 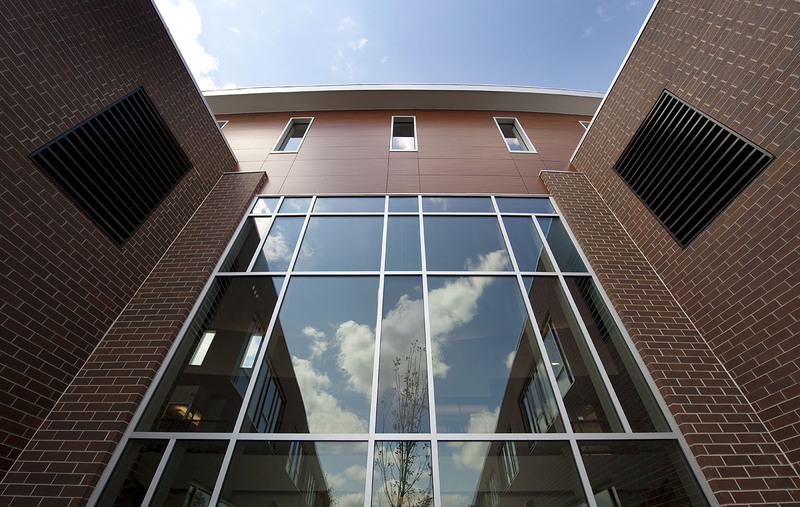 The design was awarded LEED Silver certification.